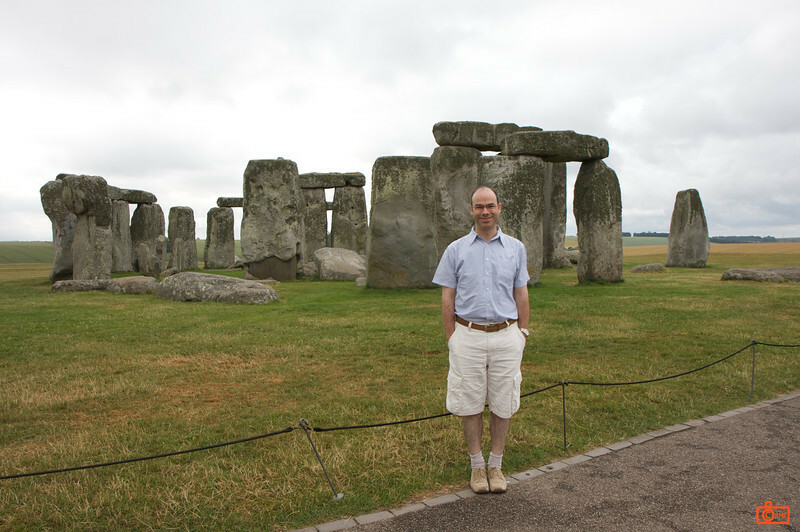 Richard at Stonehenge. The beginnings of Stonehenge date back to 3100BCE (5100 years ago). This is older than the great pyramids of Gaza. The large stones date from around 2700-2500BCE. Visitors are usually not allowed any closer to the stones, except for blind people. The stones are open only on one date - the summer solstice, which was about 2 weeks before our visit.